Can Eyelid Tape Make The Eyes Look Bigger? Will it make the eyes appear larger than life? Many Asian women have monolids or hooded eyelids. This led to the invention of a cool beauty tool in Japan: The eyelid tape, a tiny clear sticker that temporarily creates a double eyelid and fakes wide-awake eyes. But does it really work? Or is it just another gimmicky product? 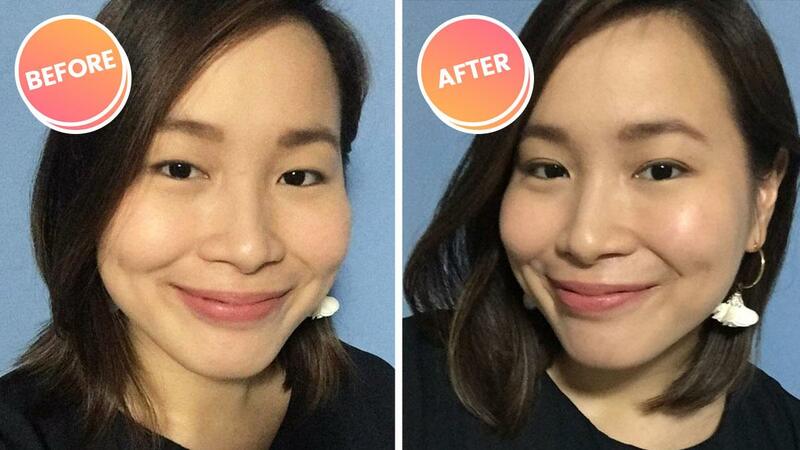 To find out, we asked one CG to try it! I've never tried eyelid tape before, so it felt weird during the first few minutes. When I already got used to it, it didn't feel heavy or like an object was preventing my eyes from blinking. I was just amazed at how my eyes looked bigger, and I saw that I had creases on my lids! However, I had a hard time re-adjusting the eyelid tape for a comfortable fit. I skipped using it on the days that I was running late. Tip: Tap the image below for before and after photos! I love how this lightweight product gave me brighter-looking eyes. It made me look more awake, and it evened out the folds of my lids. Plus, it looked so natural. But tbh, I would only wear this on ~special occasions~. I'll use it when I want my eyeshadow to really *pop*, and I'll probably put on falsies, too! 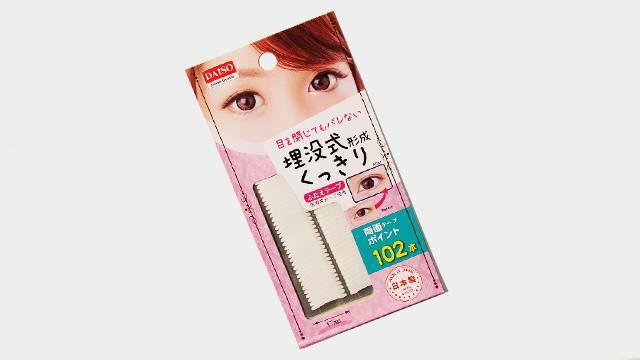 The Double Folded Eyelid Tape is available at all Daiso branches for P88.